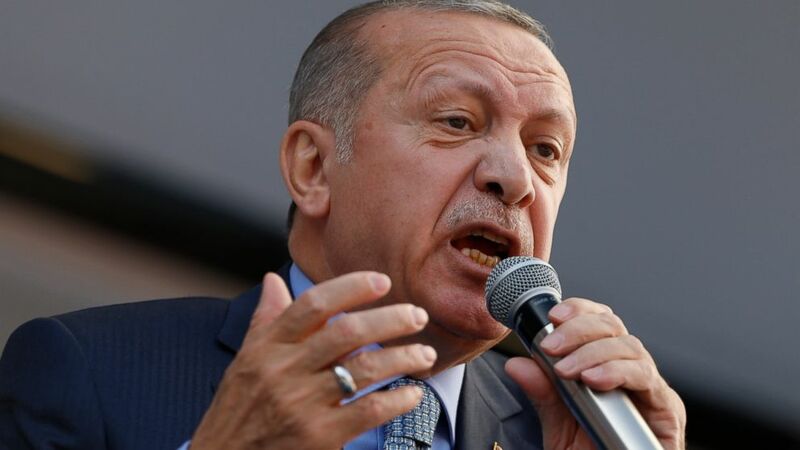 The war of words between Turkey and Israel continued Friday when Turkish President Recep Tayyip Erdogan rebuked the son of Israeli Prime Minister Benjamin Netanyahu for suggesting that Istanbul — formerly Constantinople — was under Turkish occupation. Erdogan hit back at Yair Netanyahu calling him "immoral" at an election rally. "You occupied the whole of Palestine!" he said. "If the world is looking for a country that oppresses, it's Israel. If they are searching for a terror state that too is Israel."